An HVO geologist uses a thermal camera to measure the temperature (about 93 degrees C or 200 degrees F) of a ground crack near fissure 9. Against the backdrop of loss and disruption, scientists are using a variety of tools that will provide them with study opportunities for decades. Tina Neal is Scientist in Charge at Hawaiian Volcano Observatory. Neal believes this is the first time in the United States that scientists are able to use unmanned aerial vehicles—drones—to analyze an active volcano. 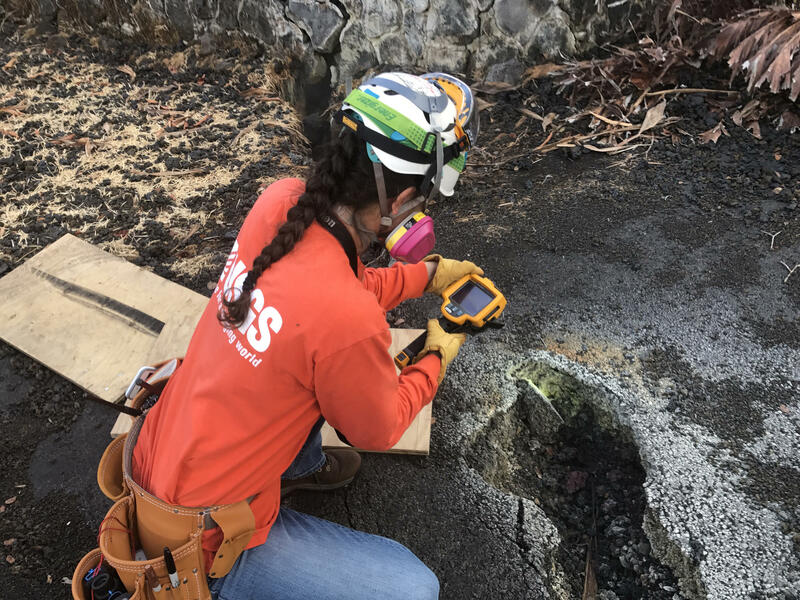 Hawaiian Volcano Observatory scientists are also using infrasound, or low frequency sensors, to localize the source of seismic energy at the surface.